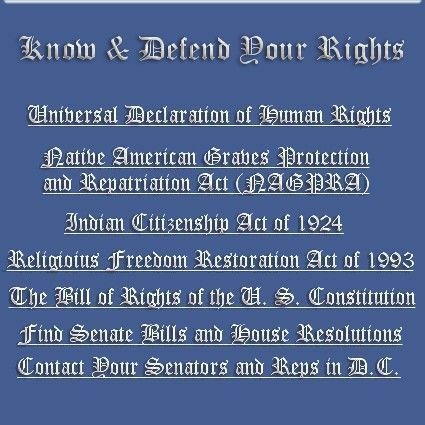 WHERE YOU WILL FIND World, U.S., Human Rights, Indigenous, and SpaceDaily News Feeds. to find the article you seek. ALBUQUERQUE, N.M. (AP)—The Bureau of Indian Affairs has withdrawn its biological assessment for a proposed power plant in northwestern New Mexico, saying it has "significant concerns" about the impact of mercury and selenium on two endangered fish species in the San Juan River. Wahleah Johns grew up near the coal mines of the Black Mesa region of Arizona and experienced first-hand the toll that mining takes on people, the land and the groundwater. Her community, Forest Lake, was one of several communities atop Black Mesa, where Peabody Energy ran the largest strip mining operation in the country on Indian land until recently. Today, Johns, 34, co-directs the Black Mesa Water Coalition, a grassroots organization of Native American and non-Native activists in Flagstaff, which combines the goals of traditional environmentalism with the commitment to Native culture and reverence for the land. Another voice to emerge this week at the Copenhagen Climate talks, is that of the world's indigenous communities, who call for a recognition of indigenous rights as part of the negotiations. We're joined from Copenhagen by Nikke Alex, a Navajo youth who works with the Black Mesa Water Coalition, that’s a group based in Flagstaff Arizona that was founded by Hopi and Navajo youth in 2004. WASHINGTON — The federal government announced on Tuesday that it intends to pay $3.4 billion to settle claims that it has mismanaged the revenue in American Indian trust funds, potentially ending one of the largest and most complicated class-action lawsuits ever brought against the United States. The tentative agreement, reached late Monday, would resolve a 13-year-old lawsuit over hundreds of thousands of land trust accounts that date to the 19th century. Specialists in federal tribal law described the lawsuit as one of the most important in the history of legal disputes involving the government’s treatment of American Indians. President Obama hailed the agreement as an “important step towards a sincere reconciliation” between the federal government and American Indians, many of whom, he said, considered the protracted lawsuit a “stain” on the nation. For the agreement to become final, Congress must enact legislation and the federal courts must then sign off on it. Administration officials said they hoped those two steps would be completed in the next few months. The dispute arises from a system dating to 1887, when Congress divided many tribal lands into parcels — most from 40 to 160 acres — and assigned them to individual Indians while selling off remaining lands. The Interior Department now manages about 56 million acres of Indian trust land scattered across the country, with the heaviest concentration in Western states. The government handles leases on the land for mining, livestock grazing, timber harvesting and drilling for oil and gas. It then distributes the revenue raised by those leases to the American Indians. In the 2009 fiscal year, it collected about $298 million for more than 384,000 individual Indian accounts. In September, the U.S. Environmental Protection Agency rescinded the air permit it had issued in 2008 for a coal-fired power plant to be built near Farmington, saying the decision was made in part because the U.S. Fish and Wildlife Department hadn’t yet completed a study of potential impacts of the project on endangered species. That study has been underway and will be completed and turned over to the Bureau of Indian Affairs this month, Wally Murphy, supervisor of the Albuquerque office of the U.S. Fish and Wildlife Department, told the Independent in an interview. Species potentially impacted by the proposed Desert Rock project—which would be the third coal-fired power plant located within 16 miles of each other—are the southwestern willow flycatcher, the Colorado pike minnow, the razorback sucker, the silvery minnow, the Mancos milk-vetch and the Mesa Verde cactus. BLACK MESA, Ariz.— In response to an appeal brought by a diverse coalition of tribal and environmental groups, this week the Environmental Protection Agency withdrew a controversial water permit for the massive Black Mesa Coal Complex, a coal-mine complex located on Navajo Nation and Hopi lands in northeastern Arizona. EPA’s permit withdrawal means that discharges of heavy metal and pollutants—including selenium, nitrates, and other heavy metals and toxic pollutants from coal-mining operations at the Black Mesa Complex—are threatening washes, tributaries, groundwater, and the drinking water for local communities, but are not being regulated. FLAGSTAFF, Ariz.—The U.S. Environmental Protection Agency has withdrawn a water discharge permit for a controversial coal-mining operation in northern Arizona pending public hearings. The EPA's decision about the permit for Peabody Energy's Black Mesa mine complex comes after an appeal by environmentalists who contend the discharge of heavy metal and pollutants threatens water sources that nearby Navajo and Hopi communities depend on for drinking, farming and ranching. WINSLOW, Ariz.—Instead of spending his time in ceremony one warm night last July, Navajo rancher Robert Diller spent it in his tractor, digging other attendees and their cars out of the sand. He lost count after 10. “the tumbling sands.” These menacing clouds of sand or dust carried by strong winds often appear as solid walls moving across the land. 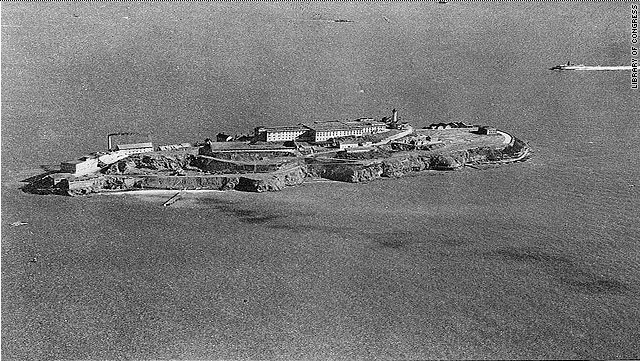 San Francisco, California (CNN)—Alcatraz Island was a chilly, unwelcoming place once reserved for infamous criminals. Not even the federal government appeared to want it after the penitentiary closed in the 1960s. KYKOTSMOVI, AZ—The Hopi Tribe has a new chairman and vice chairman with the elections of Leroy Ned Shingoitewa (chairman) and Herman Honanie (vice chairman) on Wednesday. The two faced off against their opponents from the primary election, which was held Nov. 4. Shingoitewa garnered 1,084 votes to win the chairmanship, besting challenger Clark Tenakhongva who tallied 560 votes, according to official returns released by the Hopi elections office. In all, 1,636 votes were cast. Park City, Utah—Katie Furcap usually walks with a cane. On Saturday, Nov. 7, she forgot it. 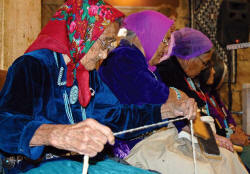 "I'm so happy, I didn't remember I need a gish," the 76-year-old from Big Mountain, Ariz., quipped in Navajo. The miraculous occasion was the 20th Annual Adopt-a-Native-Elder Rug Show, in which Furcap has been participating since before it was even an official event. WASHINGTON – The week of the White House Tribal Nations Conference was one of many high notes, including strong promises from the president and his administration, unprecedented representation from tribal leadership, and the festive opening of an international Embassy of Tribal Nations. 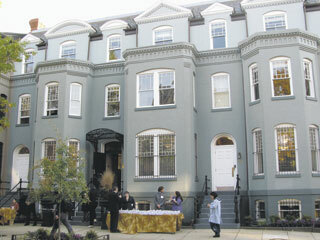 The Nov. 3 kickoff of the tribal embassy, located at 1514 P St., N.W. in the heart of the nation’s capital, embodied the climax of years of planning by the National Congress of American Indians to enhance the presence of tribal sovereign nations. WASHINGTON—A top BIA official has promised to reform the federal recognition process. Acting Principal Deputy Assistant Secretary for Indian Affairs George Skibine told the Senate Committee on Indian Affairs it would take about two years to review existing regulations and develop new ones in consultation with tribal nations. It was déjà vu all over again at SCIA’s hearing on fixing the federal acknowledgment process November 4. WASHINGTON—In the waning minutes of the day-long White House Tribal Nations Conference, held Nov. 5, President Barack Obama performed two duties: He said goodbye to the hundreds of leaders of sovereign Indian nations whom he invited to Washington, and addressed the horrific shootings at Fort Hood. 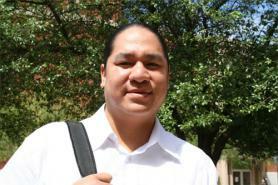 In doing so, he created a controversy that has perplexed some in Indian country. Some observers who tuned in to see the president’s remarks late in the afternoon expected him to talk only about the tragedy. Thus, many mainstream viewers saw Obama addressing tribal leaders like Joe Medicine Crow, a citizen of the Crow Nation, whom he had awarded the Presidential Medal of Freedom earlier this year, and then making strong remarks and condolences regarding the Fort Hood situation. At the tribal nation event, a somber mood overtook many of the conference attendees after Obama’s remarks, with many expressing sadness about the devastating shootings at Fort Hood. Some said the president did a good job at balancing both his obligation to sovereign tribal leaders, as well as addressing a national tragedy. 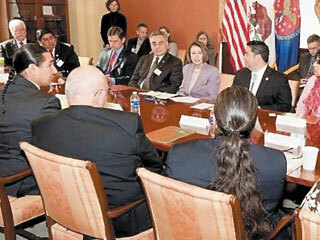 WASHINGTON—On the eve of a historic tribal conference with President Barack Obama, House Speaker Nancy Pelosi, D-Calif., took time to meet with visiting Indian leaders as well. The meeting was held at the Capitol building Nov. 4 and included a photo opportunity on the speaker’s balcony; it lasted about an hour, according to those in attendance. The main topic of conversation was health care. FLAGSTAFF, Ariz. (AP) - Two men vying to become the next chairman on the Hopi reservation say untangling the political mess that has characterized tribal government for years is their top priority. The legitimacy of the Tribal Council without an elected chairman or vice chairman has been thrown into question since the former leaders resigned last December in an attempt to restore peace to the Hopi people. A unique community perspective put to film by a University of Arizona Native American student is the selection for two unique showings this year. KINGMAN - It's the end of an era for Mohave Generating Station in Laughlin. Southern California Edison, one of four shareholders, started to dismantle the old coal-fired power plant in October. The process is supposed to take about two years and cost about $30 million. The generating equipment will be removed and the permits to run the plant will be terminated in 2010. As the Hopi Tribe moves toward its 2009 general election, there are many issues the Hopi and Tewa voters need to learn about and consider before casting their votes. They arrive each morning, press releases by the armload—or by the screenload, to be more accurate. That's what today's reporters face. Our e-mail inboxes fill up almost faster than we can clean them out. Seven Yanomami Indians in Venezuela have died from an outbreak of suspected swine flu in the last two weeks. Another 1,000 Yanomami are reported to have caught the virulent strain of flu. The Venezuelan government has sealed off the area, and sent in medical teams to treat the Yanomami. The regional office of the World Health Organization has confirmed the presence of swine flu. SAN FRANCISCO—The U.S. Environmental Protection Agency has fined a California-based national distributor of agricultural products, the Wilbur-Ellis Company, $99,600 for 21 alleged violations of federal pesticide law. 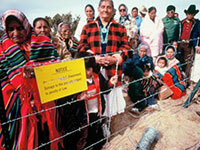 WINDOW ROCK - A green controversy fueled by coal-fired power plants is raging on America's largest Indian reservation. On one side is Joe Shirley Jr., president of the Navajo Nation, who rejects the notion of climate change even though he recently won an international award for environmentalism. On the other are environmentalists opposed to power plants in Indian Country and to the coal mines that provide their fuel. Caught in the middle are tribal members concerned with economic survival and the protection of sacred lands. 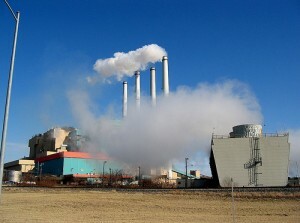 The Navajo Generating Station, the huge coal-fired power plant outside Page, supplies a fraction of Arizona's electricity demand, but its role in moving water to the state's largest cities has thrust it into a growing battle over the cost of cleaning up air pollution. PHOENIX -- The coal-fired Navajo Generating Station supplies a fraction of Arizona's electricity demands, but it plays a critical role in moving water to the state's largest cities. Federal regulators have proposed rules that would require the plant to install expensive new emissions equipment, and the plant's owners say the cost could push power rates out of reach for users, including the Central Arizona Project Canal. The plant supplies electricity cheaply enough for CAP to pump water to Phoenix and Tucson. St. Paul, Minn.—Timothy DenHerder-Thomas, a 22-year-old senior at Macalester College, has been awarded the Mario Savio Young Activist Award for his work in tackling the problems of climate change and environmental justice. As part of the award, DenHerder-Thomas received $6,000, half for his project and half to use as he wishes. The award ceremony took place on Tuesday, October 27, in California. ALBUQUERQUE, N.M. — Navajo lawmakers voted Monday to place the tribe's president on administrative leave, pending an investigation into allegations of ethical, civil or criminal involvement with two companies that had been operating on the reservation. The Tribal Council voted 48-22 in favor of the measure during a special session in Window Rock, Ariz.
ACOMA, N.M.-- Uranium from the Grants Mineral Belt running under rugged peaks and Indian pueblos of New Mexico was a source of electric power and military might in decades past, providing fuel for reactors and atomic bombs. NENAHNEZAD — Navajo Nation leaders are increasingly looking to the proposed Desert Rock power plant to surge the tribal economy as new environmental rules threaten operations at existing coal-fired plants, potentially costing hundreds of jobs and millions in tribal revenues. 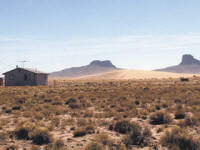 The Desert Rock Energy Project sets itself apart from other generating facilities on the Navajo Nation because the tribe intends to invest more than $350 million into it, earning a 25 percent share in the $4 billion power plant’s revenues that would provide millions in additional tribal income, said Doug MacCourt, representing the Diné Power Authority. ACOMA, NEW MEXICO—On the Navajo Nation, almost everyone you talk to either worked in uranium mines themselves or had fathers or husbands who did. Almost everyone also has multiple stories of loved ones dying young from cancer, kidney disease and other ailments attributed to uranium poisoning. The effects aren’t limited to uranium miners and millers; whole families are usually affected as women washed their husbands’ contaminated clothes, kids played amidst mine waste and families even built homes out of radioactive uranium tailings. BLUE GAP, Ariz.—As a young husband and father, Leonard Nez was proud to work in a uranium mine near his home in Blue Gap, Ariz. For the two years he worked in the mine, he made a good living for his family and was able to buy food and goods from the local trader. Because he lived so close, he even allowed the mining company to store their tools in his family’s shed. Oftentimes, he would come home with rocks so his children would see what kind of work he was doing, but Leonard had no way of knowing that these rocks would poison his family. Since then, Leonard and his wife Helen have lost seven of their 11 children—all before they reached the age of 36. FLAGSTAFF, Ariz. (AP)—Navajo lawmakers held off Thursday on a vote to secure an appraisal for a ski resort on a northern Arizona mountain the tribe considers sacred. Tribal Council Delegate Raymond Maxx introduced the bill with the intent of stopping a plan to use reclaimed water to make snow on the San Francisco Peaks. But he said wording in the bill to purchase the Arizona Snowbowl outside Flagstaff drew concern from fellow delegates. The deaths of three people after a sweat-lodge ceremony near Sedona are bringing new attention to complaints that sacred Native American ceremonies are being commercialized and demeaned by the spiritual-growth movement. As details emerge of what happened in the sweat lodge, Native Americans are criticizing everything from the number of people who were in the tent-like structure to the fact that people paid to be there. "If you ask just about any Native American out there, they will be appalled by this," said Freddie Johnson, language and culture specialist at the Phoenix Indian Center. "It's disturbing to hear that there were three deaths from this so-called sweat lodge." The leader of a Sedona-area sweat-lodge ceremony that left three people dead had encouraged participants to fight through the pain brought on by the extreme heat in order to achieve a higher level of consciousness, said an attorney for a southern Arizona woman who survived the ordeal. Before the ceremony, the leader, personal-development guru James Arthur Ray, had sent participants on a 36-hour outdoor fast in which they were denied food and water, the attorney said Tuesday. Sidney Spencer passed out in the two-hour sweat-lodge ceremony that Ray ran at the culmination of the "Spiritual Warrior" retreat, said her attorney, Ted Schmidt. She spent four days in a Flagstaff hospital with multiple organ failure, he said. FLAGSTAFF—The Navajo Nation wants to buy the Arizona Snowbowl ski resort to stop snowmaking on one of the tribe's most sacred mountains. FLAGSTAFF—More than 50 followers of spiritual guru James Arthur Ray had just endured five strenuous days of fasting, sleep-deprivation and mind-altering breathing exercises when he led them into a sweat lodge ceremony. It was supposed to be a religious awakening, the culmination of a $9,000-plus-a-person retreat outside Sedona, Ariz., aimed at helping people find a new vision for life. But it wasn't long before the ceremony turned into a terrifying experience. People were vomiting in the stifling heat, gasping for air, and laying lifeless on the sand and gravel floor beneath them, according to participant Beverley Bunn. One man was burned when he crawled into the rocks, seemingly unaware of what he was doing, she said. KYKOTSMOVI, Ariz.—Accusing environmentalists of having an anti-Hopi agenda is a divisive “manufactured lie” by a pro-Peabody Western Coal Company tribal council, said a longstanding advocate for tribal control of Black Mesa, the site of massive strip mining operations. In fact, the Hopi Tribal Council itself may have a hidden agenda to convert two power plants – one operating, and one currently closed – under clean-coal technology, using an expanded coal mining permit to attract investors, he said. We agree with Hopi and Navajo concerns over economic development and job creation and their right to speak out. We also stand united in encouraging tribal leaders to embrace prosperity and health in the 21st century with clean, renewable energy. Considering that our fossil-fuel-based economy will eventually disappear, we believe it is time to look ahead. More controversy broke out last week over coal mining and development of the Desert Rock Energy Project on the Navajo Nation as President Joe Shirley Jr. criticized environmental groups, and the Black Mesa Water Coalition responded to his remarks. PHOENIX, Ariz.—One week after the Hopi Tribal Council officially banned the Sierra Club and other environmental groups from their land, Native American journalists held a candid discussion about the controversy and how media could better cover environmental issues in their communities. KYKOTSMOVI, Ariz.—The battle waged against a major coal company by Hopi and Navajo activists and against large environmental groups by tribal officials has, at least temporarily, intensified the conflict playing out in northern Arizona over the control, preservation and use of cultural and natural resources. It is important that the readers of The Republic not assume [that] the Hopi Tribe, as a whole, supports the recent resolution by the Tribal Council declaring environmental groups unwelcome on the Hopi Reservation. 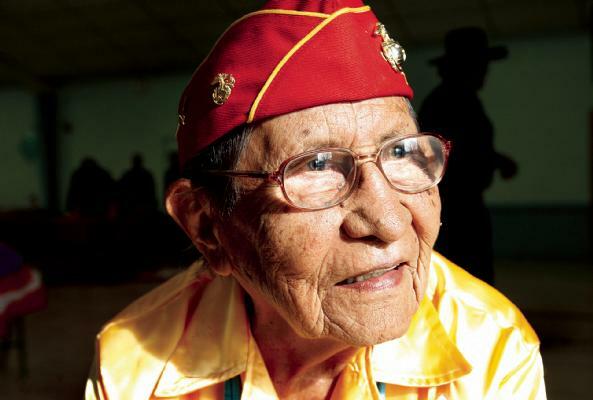 In 1864, a young Navajo woman living in Black Mesa, Ariz., fought to protect her family from the efforts of the U.S. Army and scout Kit Carson to remove them from their land and send them to Ft. Sumner, N.M.
One hundred and forty-five years later, another young Navajo woman walked in the footsteps of Yellow Woman, her great-great-great-grandmother. FLAGSTAFF, Ariz. – As Hopi and Navajo leaders in the American Southwest evaluate their energy policies, the Sierra Club and other environmental groups remain committed to working with their tribal partners to find clean energy solutions that work for everyone. ALBUQUERQUE, N.M. (AP)—Navajo Nation President Joe Shirley Jr. is seeking a federal grant to help pay for equipment designed to capture carbon emissions from a proposed coal-fired power plant on tribal land. The Hopi Nation's Tribal Council sent a message Monday to the Sierra Club and a handful of other environmental groups: Stay off the reservation. Tina May, a council spokeswoman, said council members meeting in Kykotsmovi unanimously adopted a resolution declaring that the conservation groups are unwelcome on Hopi lands because they have damaged the tribe's economy by pushing for closure of a coal-fired power plant near Page.